Sometimes, blogging can make any brilliant blogger feel overwhelmed at times- you feel a pressure mounting up to keep your site updated with fresh and unique content. Since I have incorporated some of these tips and tricks into my blogging life: I definitely feel that I am always on top of things and much more equipped to make TeenBookHoots the best blog it can be. These tips may be considered time consuming to do, but they are worth it every minute in the end. If you have an afternoon or a morning spare, it is a fabulous idea to get your fingers clicking on your keyboard- making some top quality blog posts. This way, you will never have to worry or become stressed when you realise you have a busy week coming up- and you won't have time to write. You have a bank of posts just waiting at your disposal to become exposed on the internet. You could even schedule your posts, so you don't even have to worry about getting them up on your blog on time. If you have a day where you brain is feeling tip top, make sure you get some blog post ideas noted down somewhere. As a book blogger, I am trying to get other posts out on my blog, rather than just book review after book review. If you happen to get writers block in the future, you will thank yourself for a list of ideas ready to be written up for your blog posts! Keep everything you write down in one place. I like to have a blogging notebook, where I have my brainstorms for blog posts, and I plan what will be going up on my blog week by week. You could obviously buy a diary, but I use a plain lined notebook so I can set out my plans the way I want to. This way, I can see what my blogging week has in store at one glance, and it's easy for me to see if I have a free slot in the week when I get asked to take part in a blog tour for a new book. Make sure you have a notebook and phone near you at all times, there are countless times where I have had various blog post ideas pop into my head when I wake up in the middle of the night! If you know you are a forgetful person, and you know you have to put a blog post up on a certain day- just set a reminder. I set reminders on my phone constantly: this way I have no worries about forgetting anything, and I get that little extra nudge so I know I need to put a post up. Alternatively. you could always write reminders on post-it notes, and stick them somewhere quite obvious, like your bathroom mirror, or your kitchen table. 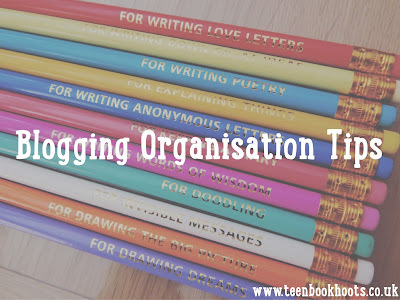 What are your favourite blogging organisation tips? 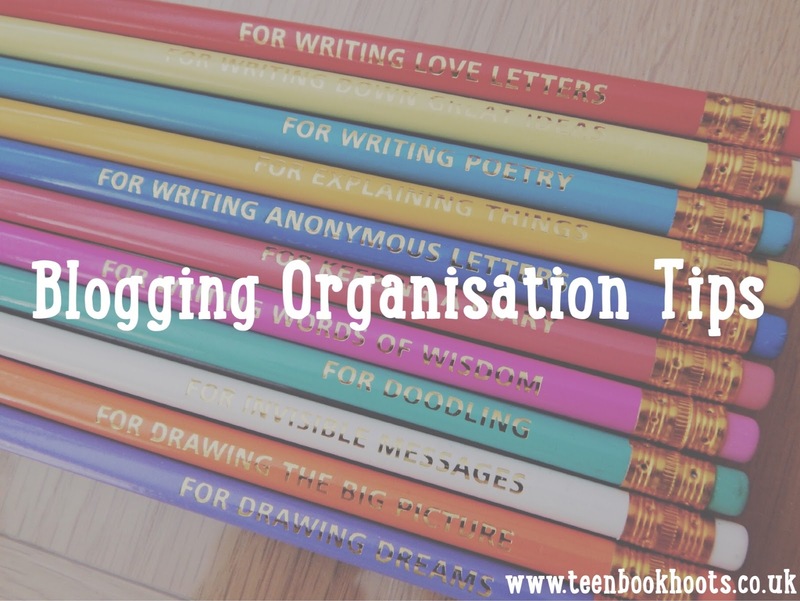 Are you an organised blogger? I have never thought to set a reminder! Great idea!